Skating champions Zoe Jones and Christopher Boyadji skated their way into the new season of the Royal Pavilion Ice Rink at the VIP launch party. 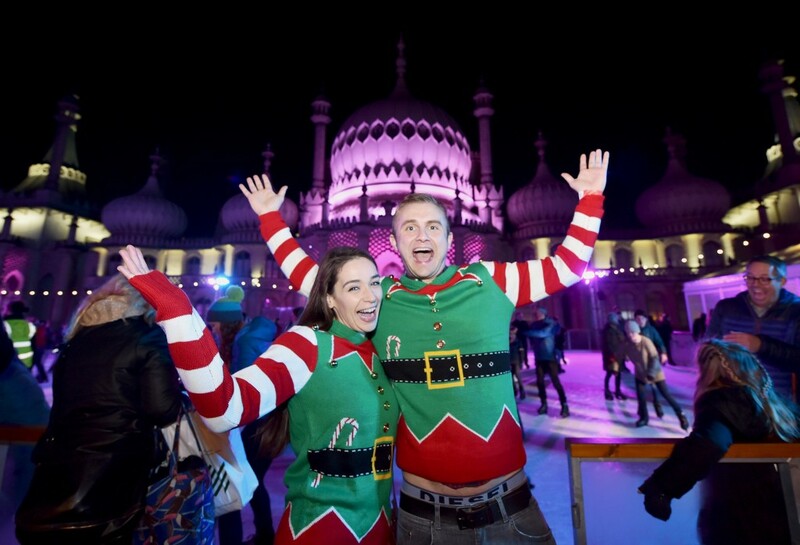 The figure skating duo treated 400 invited guests to a magical display to the song “It’s a Man’s World” by Seal, before the ice was opened to guests for the first time this season. After teaming up in June 2016, Zoe & Chris were crowned 2016 British Senior Pairs Champion and represented Great Britain at the European & World Championships. This year the pair have participated in two international events in Europe and have beaten their best score. Zoe is a particularly unique skater, having retired from skating for 13 years before her 2016 come back and being the only woman on the international level to have children. 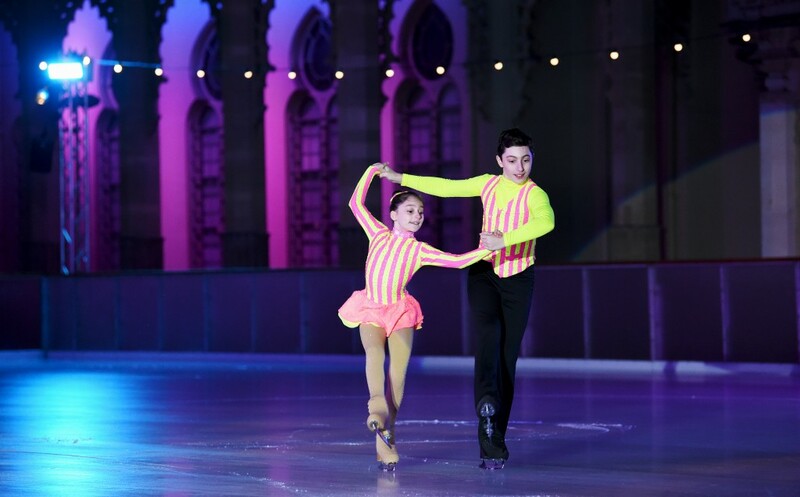 Guests were also treated to a Christmassy performance from talented young figure skaters Sophia and Curtis Elton, who have skated and played music on TV as well as for royalty and whose ice dance was set to a Mary Poppins and Sound of Music medley. As an extra treat, guests enjoyed angelic live music from the Brighton College Prep School Chamber Choir, getting everyone in the festive spirit. The rink opens to the public for its eighth year at 10am this Saturday November 4 until 14 January 2018, when visitors can expect a twinkling time on the ice and in the restaurant with its beautiful terrace overlooking the rink. Off peak sessions run until 5.15pm on week days, including a Juice Happy Hour, with Juice 107.2, straight after school at 4.15pm and the ice rink is open from 10am until 10.15pm, with the last skate session at 9.15pm. The Bar & Kitchen stays open until late. 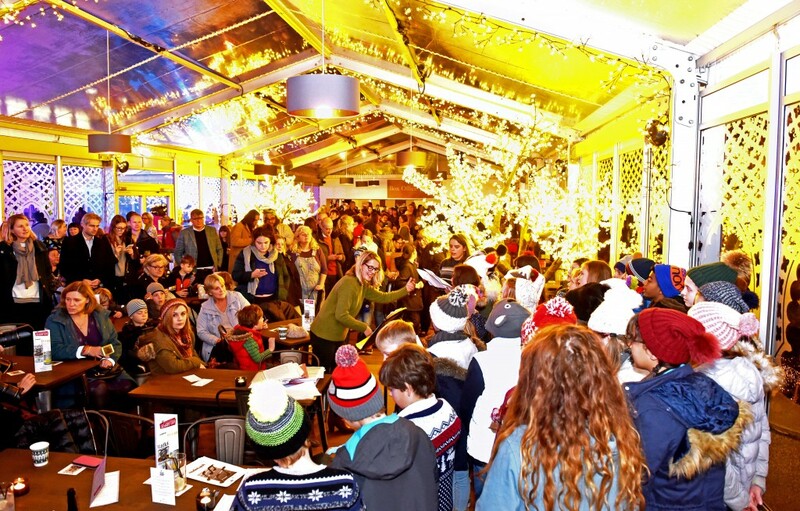 For those looking to just sit back and soak up the festive atmosphere, there’s no charge for spectating from the cosy rink-side Bar & Kitchen or on its 40-metre terrace next to the ice. With plenty of space for larger gatherings, the 130-seater restaurant offers sumptuous snacks, hearty meals, including stone baked pizzas – new this year – a fantastic after school menu for kids and a great bar selection including local ale and a new range of craft beers, 14 different gins, and mulled wine or cider. Tickets cost from £10 for full price tickets (aged 12 and over), £7 for juniors (under 12) and the one-hour skate times run from 10am to 9.15pm daily. Club Rinkidinks (daily, second session of the day, 11.15am to 12.15pm excluding Dec 21st 2017 – Jan 1st 2018) offers children under five the chance to skate for free when accompanied on the ice by an adult paying full price. There are also great new multiticket offers for those who want to skate regularly (check website for details) and concessions for students. The box office is open from 9.30am to 9.45am, but it is advisable to book tickets in advance.